Book your wedding group here and get the 6th room FREE! That is the 11th & 12th passenger is FREE! Plan the perfect wedding with this great deal for 2019 offering 15% OFF our Royal, Caprice and Indulgence wedding packages. Available at all of our hotels in Mexico. Ideal for couples wishing to celebrate a romantic destination wedding on a picture-perfect tropical beach. LET US HELP PLAN YOUR PERFECT DESTINATION WEDDING. Destination weddings are affordable, beautiful and just as enjoyable for guests as they are for the bride and groom. Sundial Travel has an excellent team of destination wedding travel consultants. Whether you are planning a resort wedding on the beach, at a tropical garden gazebo, or a cruise wedding, our dedicated destination wedding specialists are here to help you with your plans for the perfect dream wedding. We will make sure your vision for your dream day becomes a reality. 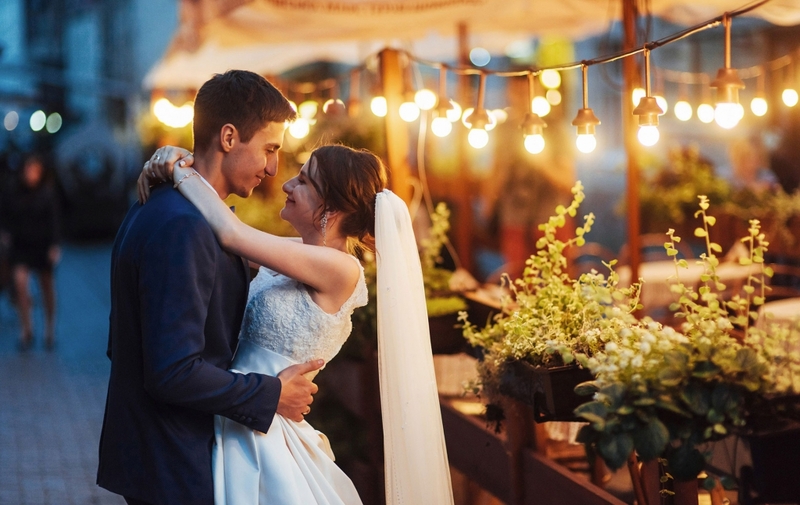 Our wedding planners and specialists will look after every detail for your romantic weekend for two or your beautiful wedding with lots of family and friends! Planning a wedding in a foreign country can be a daunting task. Where do I start? How can I have my dream destination wedding if I am hundreds of miles away unable to plan it? The job of a wedding planner is to smooth all of that for you. That is why we are here at Sundial Travel to plan all of this for you! And the best part? This is included at no fee to you! The pinnacle of all-inclusive excellence in the Caribbean. Sandals delights couples in love with supremely luxurious accommodations, gourmet candlelit dining for two, gorgeous tropical settings and some of the world’s most exquisite beaches. For travel in 2019, 2020, 2021. You take them to Beaches Resorts – offering more quality inclusions than any other resorts in the world! High octane sports on land and sea, from unlimited golf to the Caribbean’s most comprehensive scuba program. Group travel to the Caribbean with Beaches is the perfect way to please everyone because sometimes you have to get away to get close r together . Call Sundial Travel for your Beaches or Sandals Vacation! Their is an exciting and wonderful promotion on Groups, Gatherings & Getaways!!! Book five rooms, receive the sixth room free! -This means the 11th AND 12th passenger travel free!!!! These savings can be divided amongst all the passengers travelling to give everybody a discount! 1 complimentary room upgrade for every 10 rooms per night paid! Call Sundial Travel to find the perfect dates for you! The Groups, Gatherings & Getaways promotion is valid on all new reservations and requests. Guests must check with Sundial Travel to confirm that this promotion is available during preferred dates. All reservations must be booked through the same source in order to qualify for this offer, black out dates may apply. AT SECRETS, DREAMS AND NOW RESORTS & SPAS! Book a minimum of 10 adults/5 double rooms and receive a FREE Wedding package! COLIN COWIE BRINGS HIS TIMELESS STYLE TO PALACE RESORTS. Book a Palace resort for your wedding group and receive a $1500 resort credit per room which can go towards your wedding! WHETHER YOU ARE PLANNING INTIMATE BEACH-SIDE NUPTIALS FOR AN AUDIENCE OF TWO OR A LAVISH GALA AFFAIR WITH 100 OF YOUR CLOSEST FRIENDS AND FAMILY, SUNDIAL TRAVEL AND PALACE RESORTS CAN HELP MAKE YOUR DREAM A REALITY. 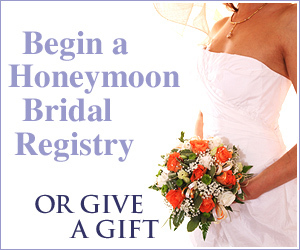 THE RESORT CREDIT OF $1500 CAN BE APPLIED TO YOUR WEDDING PACKAGE. With everything taken care of, you’re free to enjoy your most memorable day. From your own dedicated wedding planner to a complimentary honeymoon package of continued bliss, your Palace Resorts wedding is picture-perfect in every way. ◊ Sunset Beach: A spectacular sunset from the cliffs off Negril’s Seven Mile Beach is just one of the breathtaking waterfront scenes offered across the island. Montego Bay and Treasure Beach are also great locales. ◊ Love Boat: Choose a sunset ceremony on a sailboat bobbing on tropical waters, complete with reggae band and traditional Jamaican cuisine. Several tour companies invite couples to plan their wedding and reception onboard a catamaran. ◊ Tropical Garden: Jamaica is home to many gardens with colourful tropical flowers and lush greenery providing a beautiful wedding backdrop. A top garden pick is Shaw Park Gardens – located high in the hills overlooking Ocho Rios with a stunning view of the seaside town below. ◊ Lovers’ Leap: A 518-metre cliff overlooking Cutlass Bay on Jamaica’s rugged South Coast offers one of the most picturesque views on the island. Legend has it that two young slaves jumped to their deaths from this cliff after their secret love affair had been exposed, rather than being separated. ◊ Blue Lagoon: Port Antonio’s “Blue Lagoon” is a small, secluded lagoon renowned for its vivid blue colour. This location makes for a perfect “tropical paradise” setting for an intimate ceremony, and can only be accessed via a narrow lane off the coast road or by boat. ◊ Jamaican Flavours: Couples do well spicing up a reception menu with Jamaican flavours – from jerk seasoning and local seafood to traditional “festival” bread and world-renowned Blue Mountain coffee. “Matrimony,” a fruit salad made with otaheite apples and soursop then bound with condensed milk, makes for a well-themed dessert. And no Jamaican wedding would be complete unless spiked with a little island rum. ◊ Reggae Beats: Jamaica is the birthplace of reggae music. Once you’re there, you’ll find it’s no wonder that the island inspired Bob Marley’s One Love. Couples can easily add a little Jamaica to their ceremony and reception with some seductive reggae beats. ◊ Island Attractions: Jamaica offers more attractions than any other Caribbean island, making it the perfect place for a romantic excursion or great way for entertaining friends and family pre/post nuptials. Snorkeling tours, river rafting, horseback riding, zipline canopy tours and breathtaking waterfalls are all in close proximity to most of the major resort areas.